Now into December, and morning temperatures hovering just above or below freezing, I have to remind myself of the spill on black ice I had 8 years ago when I broke my femur. Cars in our street were frosted over, so I used the early downtime for catching up on some reading, then headed out mid-morning. It was one of those perfect early winter days. The temperature eventually rose to the 6-9C range, with a gentle breeze and a cloudless sky (for some of the day, at least). The roads were clear, visibility was good for several miles, and the countryside was looking its manicured best. The autumn sowings had produced a gentle green carpet that covered most of the fields. 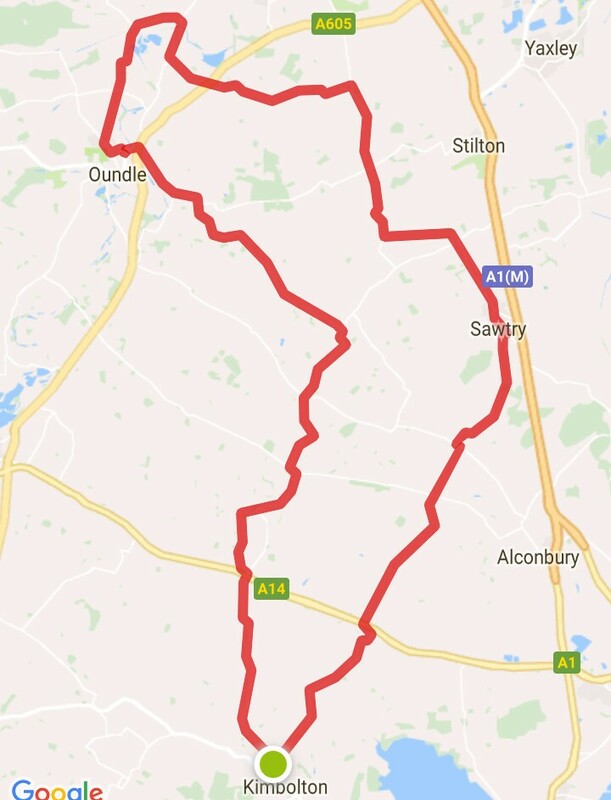 My route took me through villages that I hadn’t visited in months, and when I got to Oundle (after 46kms), I called unannounced on a friend who very kindly invited me to soup and coffee……the fuel to propel me the 30kms back home which, incidentally, was gently aided by a north-westerly breeze. 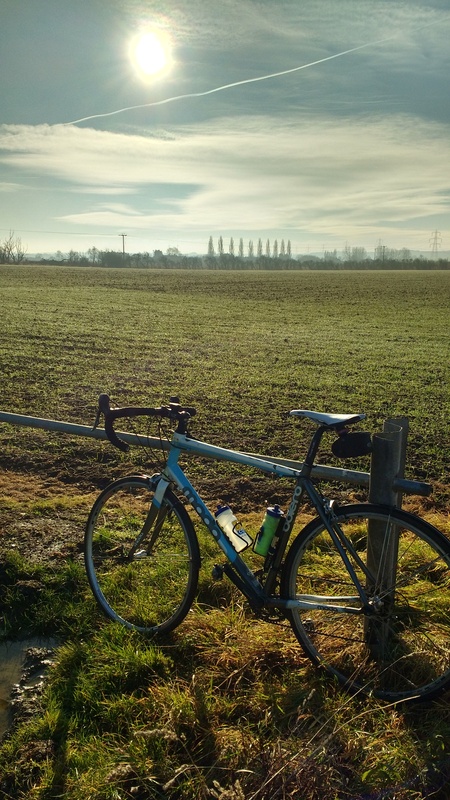 Posted on December 4, 2017, in Cycling UK and tagged adventure, cycling, travel. Bookmark the permalink. 4 Comments. it was a lovely day up here today too . managed to get in 29 miles in bright sunshine all day. Pleased to hear that Brenda. We have to make the most of good winter days….. Earlier in December we took advantage of the good weather for a long walk with the grandchildren. Make the most of climate change.